Facebook is a fundamentally different platform. You can start with a list of keywords, but those keywords merely help you find interests to target, which can be very different than simple keywords. That’s because Facebook is not a platform driven by queries, it’s a platform where people live their lives. On Google Ads, if you wanted to run ads to market your business helping write and edit resumes, you might target keywords like “resume help”. On Facebook, “resume help” isn’t really an interest people have. People aren’t on Facebook looking for jobs or help with their resumes, beyond polling their friends to see who might have advice to offer. Any “community” based around resumes is going to be very disparate. It will meet certain criteria: people who use the term resume instead of CV, people who are seeking jobs or who are dissatisfied with their current job, people in an industry that cares about resumes, but it’s still an extremely broad group of people. You’ll find your ads reaching construction workers, IT office drones, and engineers equally. Not a very targeted audience, right? So instead of picking Facebook ad keywords, you should be focusing on Facebook interest groups. Keywords are a good place to start so you know how to dig down into those interest, though, so let’s get that foundation in place. You don’t need to worry about keyword being exact match or broad match. You don’t need to worry about negative keywords. What you need are mid-level keywords that guide you in figuring out what kind of interests you need to pick. These keywords don’t even necessarily need to be relevant to your business specifically. They can be, but it might not be the most effective means of targeting your audience. Let’s say you’re a small manufacturer of golf clubs. You can use your own brand name as a keyword interest, and you’ll get people who like your brand in your audience. That’s fine, though it might not be the audience you’re trying to reach. What if, instead, you were to target people who simply have a broad interest in golf? Well, that’s an industry interest, but it’s far TOO broad. A lot of people are interested in golf but don’t play, or don’t have a reason to buy new clubs, or are otherwise outside of the game and thus your audience. You need to strike the right balance between narrow and broad keywords to find the right kind of interests. As for converting your keywords into Facebook interests, give this a try. 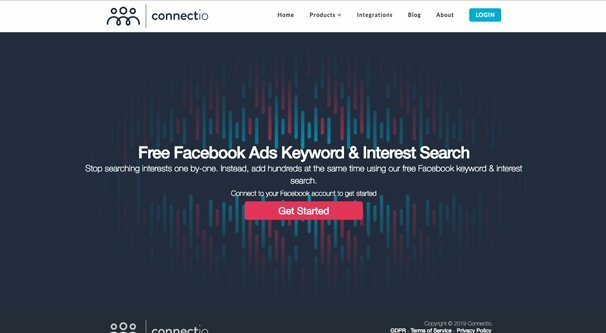 It’s a tool provided by Connectio, serving as an interest search engine. 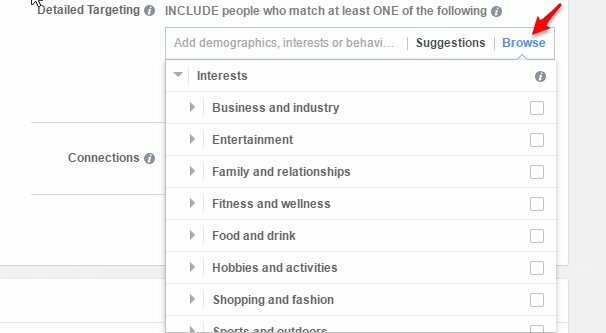 It can help you figure out what interests on Facebook are worth targeting and which ones don’t cut the mustard. It’s also worth noting that it’s extremely common to mix up what is a Page and what is an Interest on Facebook. Even experts can run into confusion. In this guide, the author claims there’s no correlation between small pages that can be used as an interest, and the fact that many pages seem to require 50K minimum followers to show up. The truth is, you can have a Page for an interest, but that Page does not represent all of the people actually interested in that interest. You may find that some people who follow that page are not in the interest audience, and that many, many people who are interested in the subject do not follow the page. I’ve seen cases where a Page for an interest has half a million followers, but the interest itself is an audience of 6+ million. That’s a big difference! It just goes to show you that using Pages as a source of data isn’t the complete story of what Facebook knows behind the scenes. 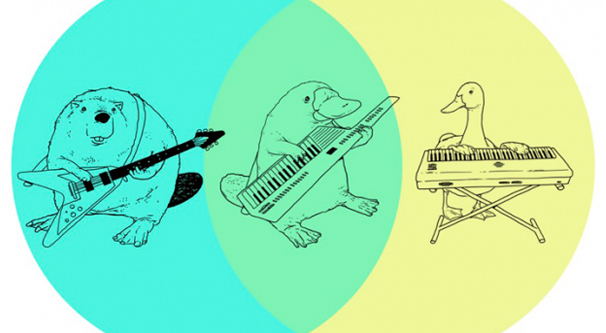 So how do you pick the right keywords to use as a basis to start? 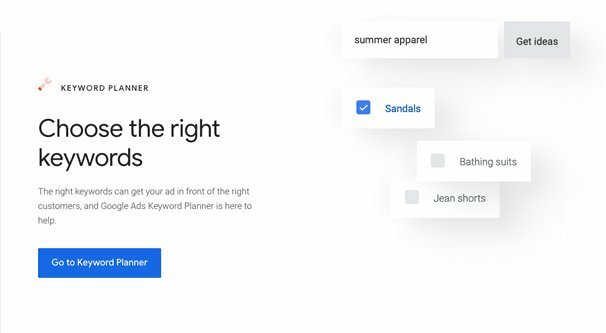 Some of you have been using Google ads, or have been keeping track of keyword data for your blog, and that’s good enough. All of your existing keyword knowledge will work. For those of you who are more or less new to the whole keyword selection process, here’s how you can go about doing it. First, you can make use of the Google keyword planner tool. You can plug a URL into the tool and it will give you keyword suggestions based on the content and surrounding information contained in that URL. Using your site is ideal, but you can also use competitor sites to get an idea of what they’re targeting. While you’re doing all of this, remember to put yourself in the shoes of your customer. What are they searching for? What are they interested in? What outlook do they have? This can all inform the kinds of keywords you’re going to pick. Remember that in this case you don’t need to go down to narrow long-tail keywords, because those aren’t things people are going to actually be interested in on Facebook. They can give you a place to start sometimes, but it’s often more work to pick them all out than they add in benefit. Next, go into your Facebook page – you have one, right? – and look at your Insights. In Insights, you can see information about your users. Note down your broad demographics, like whether you skew further towards one gender or another, whether you’re focused on a specific location, age range, and other major demographics. You can use these as targeting options to make sure you’re reaching the audience most likely to be of use to you. 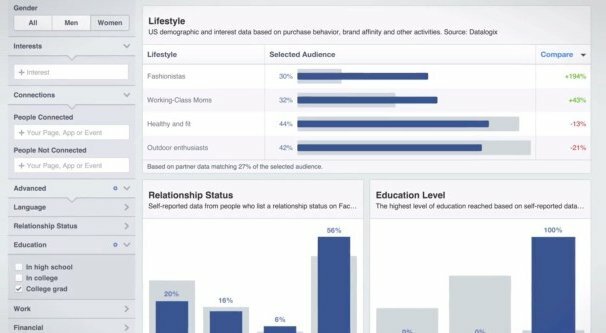 Facebook provides another insights tool, this time in the ads manager, called Audience Insights. This is sort of like a major search within Facebook’s user data, though it’s of course entirely anonymous. You can go through the motions of creating a new audience, and under Interests, start plugging in various keywords and interests according to your research. This will show you broad demographics for that interest, as well as a handful of other useful pieces of data. Household data, for example, can show you things like general income levels and education levels. Play around with it, explore the data and correlations you can find, and see how different interests stack up with your audience. Remember here that the audience following your page might not be representative of your industry. You may have been missing out on an entire segment of your audience all this time. Alternatively, you may be intentionally focusing on a narrower sub-set, so you’ll be getting overly broad data from your full-Facebook searches. In the audience insights pane, you can check the Page Likes section to see what sort of brands and people are interested in that keyword. This can show you various brands related to your own or to the interests. Most of them you should be familiar with, since you’re in that niche and should know the people you can network with or compete against. Some might be new to you, though. Under the Detailed Targeting section, you can start typing a keyword and see what Facebook has as suggestions. There’s a “complete” list here, though I’m not certain it’s truly complete; who knows what Facebook is doing in the background. In any case, hovering over an interest when you view it in the detailed targeting section will show you a description and the number of people in that audience. This can give you a good idea of how broad the interest is, and how many people you can reach with it. There are a few different ways you can make use of your broad keyword knowledge and industry awareness to help you target a specific group of people. The first technique is called the “No One Else Would” technique. It’s basically just a way of narrowing down an interest into a specific audience that excludes other people. To continue with our golf example, imagine targeting “golf” as a whole. You’ll get a huge range of people, from casual golf watchers to pros playing the game every day to companies manufacturing golf accessories. Now let’s say you narrow it down by picking a specific person within the industry of golf. Tiger Woods comes to mind readily, and that’s a problem. Why is it a problem? Everyone knows who Tiger Woods is. He’s been involved in a lot of different issues throughout the years, including scandals that have nothing to do with golf itself. It’s still a broad audience and won’t include primarily golfers who might buy your stuff. 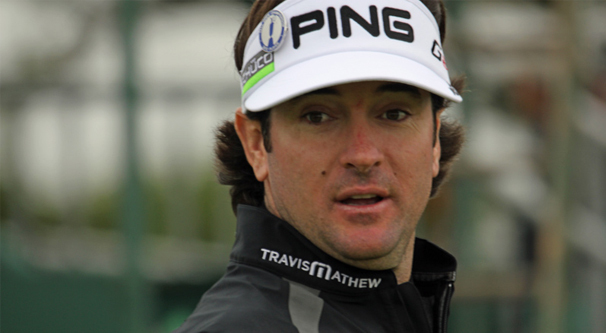 Now let’s say you narrow it down more, to someone like Bubba Watson. Bubba is a famous golfer, but he’s not a huge celebrity. In fact, outside of golf enthusiasts, most people have never heard of him. Or, to phrase it a little differently, golf enthusiasts will recognize him, but no one else would. You can do this with any industry that can be drilled down into specific recognizable parts. 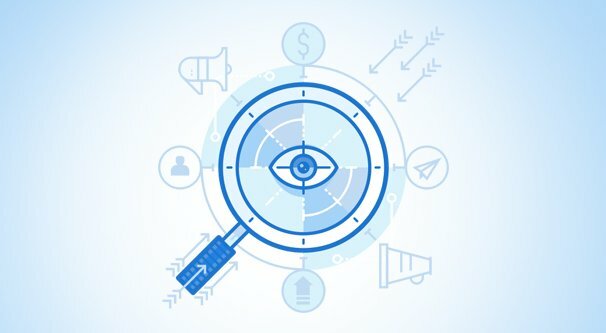 In marketing, you could target people who are interested in Agile Marketing, a specific marketing technique that non-professionals probably haven’t heard of before. Every industry has narrow interests revolving around people or concepts that can tie into your brand and a way for you to reach them. The second technique, and arguably one of the more valuable techniques, is called layering. To put it in terms of interest, go back to golf. For one circle, put in a location, like Pebble Beach, home of a golf course used for the PGA Tour. For another circle, put a brand of golf clubs. It doesn’t have to be yours; in fact, it’s likely better if it isn’t, so you’re reaching people who may or may not already know about you rather than people who already do. You can add more circles to further narrow things down. Of course, it’s not really circles in Facebook advertising, it’s targeting factors. You can also use other targeting options to further narrow down your chosen audience. Maybe you want specifically left-handed people, or people in a certain income level, or people in specific locations. Finally, you need to test. Test, test, and test some more. No one technique, no one set of keywords, no one specific layering of interests is going to work for everyone, or even for the same person multiple times. Facebook’s audiences are fickle, and you need to be testing different audiences just as much if not more than you test copy and images. Split testing as well as campaign testing will give you a lot of valuable information you can carry forward into future ad campaigns.